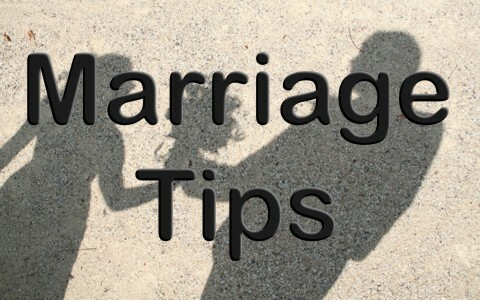 Here are five tips for when your marriage feels like its dead or dying. This is not an old cliché but a truth. A couple that prays together is more likely to stay together. Learning how to pray together and pray for one another creates a powerful bond that lets the other spouse see what exactly it is that they value. It might be the children, parents, finances, or whatever, but each couple can learn from their spouse’s prayers, because it tells them what’s most important to them. If that includes their spouse, this is even better. Thanking God for your spouse, publicly, privately, and while praying together, makes her or him think that they are not being taken for granted and are actually thankful for them. It really shows that their spouse matters. We don’t pray for those things that we don’t value, but we cannot help but pray for those things we do. Praying together also forces us to humble ourselves before our spouse because both have to pray outload, and that’s not easy, however this vulnerability of both spouses praying out loud, somehow seems to draw the couple closer together. Prayer can certainly revive a dead or dying marriage. Wait, this sounds too simple, but it’s true. Hold hands. In the airports I have noticed a phenomenon. Almost everywhere I looked, there were older couples, sometimes in their 90’s, and holding hands as they walked down the corridors. There was something romantic about that. It seemed timeless. You could see very young couples and very old couples holding hands…but very few of those who were middle aged. I wondered, “Why is that?” Holding hands can calm an argument too; at least that’s what I hear, as I hear it’s difficult to argue with someone while you’re holding their hand. I’m not sure what it is, but it does seem to work. Many years ago, my oldest child was crossing the street with me and so I held his hand, but after we crossed the street, he didn’t let go, so neither did I. It wasn’t a matter of feeling safe; it was a matter of feeling loved. I believe he felt love when he was holding my hand. I know I did. Holding hands is almost a lost art, and that’s too bad, because it somehow brings us closer together with whoever’s hand we’re holding. I know of a couple who never even had their first honeymoon, so they thought it’d be great to have their first one, some thirty years later! What a great idea, but what a great idea for a couple to have a second honeymoon. It’s even more special when you can have it at the same place. The familiar sights and sounds can rekindle a fire that was once burning hot after they married. They might remember that first love they had for one another. Perhaps “Their song” would be icing on the cake. If you can’t go to the same place where you had your first honeymoon, perhaps you can go to the same location but stay in a different place. Surprises are really good and this would make a great anniversary gift. I don’t know of very many couples that have a date night anymore. They usually wait for an anniversary or a birthday before they decide to go out and do something special, if at all, but that can be a long wait. Why not set a specific time each week or bi-weekly (at least), where it’s just the two of you? You could even make a weekend out of it (highly recommended). Arrange to have the children taken care of and then just get away and do what you both like to do or mutually agree on. Sometimes is best to do what your spouse loves more than you do because it usually ends up being reciprocal as they may do that for you sometime. Talk to spouses friends and ask them what they really like and to keep it a secret that you talked to them. Learn more about what your spouse likes and doesn’t like. It makes a date night even more special if it relates to things she or he likes. It will also show them that you care about the things they like. This is like saying, “You’re important. I want to do what you want to do, even if it’s not my favorite thing.” Of course I’d leave that last part out of the conversation that said, “even if it’s not my favorite thing.” Some things are better left unsaid, as is the case here, but the point is, having a regular date night means there are no surprises and that this is their time” and no one else’s. A pastor long ago said that he wanted to keep the romance alive in his marriage for as long as he could and he did! One of the first things he did was to shower, put on a nice shirt and slacks, and comb his hair, shave, and brush his teeth. This pastor was old school to be sure but he had a great idea; he wanted to make himself as handsome as possible to keep the romantic flame alive in his marriage. Of course, he brought flowers home for no occasion and he would often do something around the house to help his wife, but this pastor was a great role model for husbands. He didn’t want his wife to think she’d married a slob. He did it out of respect for her. That type of devotion to his wife kept their marriage strong (for 67 years). They were still holding hands well into their 90’s. The old thought that should always come to play in a Christian marriage. Fix self and let God fix the other. Next post: Why Do Angels Exist?